Martin James Bartlett possesses a fearless technique and plays with a wisdom and elegance far beyond his years. He is an exclusive recording artist with Warner Classics. Bartlett won BBC Young Musician of the Year in 2014 since when he has performed with orchestras including the BBC Symphony Orchestra, BBC Scottish Symphony Orchestra, Bournemouth Symphony Orchestra, Royal Philharmonic Orchestra and Tokyo Symphony Orchestra. In 2017 Bartlett was one of the thirty competitors in the final rounds of the Van Cliburn Competition, held in Fort Worth, Texas. In the 2018/19 season Martin James Bartlett will participate in the Verbier Festival’s short winter residency at Schloss Elmau, Germany and has been invited by Sir Andras Schiff to participate in a public masterclass at the Salzburg Mozartwoche. He makes his debut with the BBC Philharmonic, BBC National Orchestra of Wales and Philharmonia, and will also perform in recital in the UK, at St John Smith Square and the new Birmingham Conservatoire and in many other venues across the country. At the beginning of the season Bartlett competed in the Bad Kissingen Klavier Olympiad competition, winning both second prize and the audience prize. Last season, Bartlett made his Japanese debut performing with the Tokyo Symphony Orchestra and in a sold out recital at the Musashino Cultural Foundation. He was Sir Bernard Haitink’s soloist with the Royal College of Music Symphony Orchestra playing Mozart Piano Concerto No. 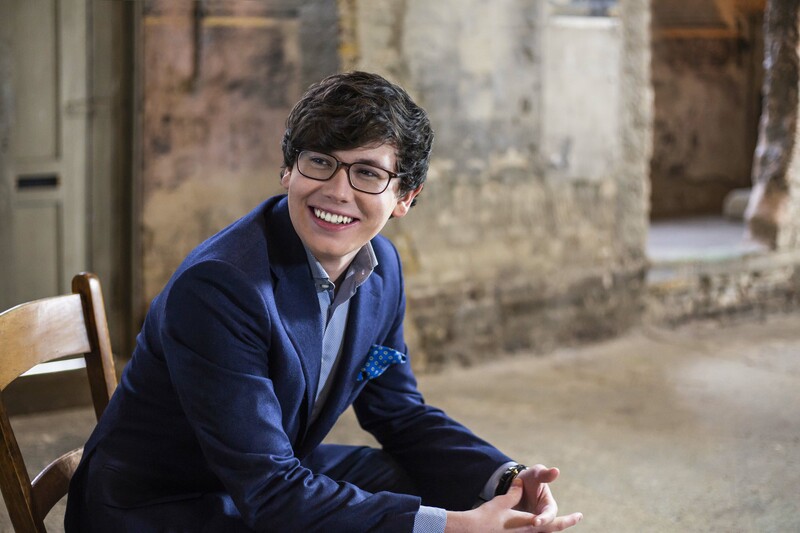 24 K.491 in concerts which were recorded and are currently streamed on Medici TV and performed with the London Mozart Players, the Manchester Camerata and in July 2018, he returned to the BBC Proms as part of the BBC Young Musician of the Year 40th anniversary celebrations. He was invited to the Verbier Festival Academy, performing in public masterclasses with Sir Andras Schiff, Richard Goode and Sergei Babayan. He played recitals across the UK and also gave recitals in Madrid for the Fundación Juan March and at the Duszniki International Chopin Festival: “This was without doubt one of the most extraordinary recitals ever to have taken place in the Dworek. The musical range of this ambitious programme was remarkable - from Bach to Scriabin. Here we have a complete musician and surely, a pianist that is almost faultless…” Michael Moran. As part of the Chinese State visit in 2015, Bartlett performed a private concert for the First Lady of China, Peng Liyuan, and other dignitaries. In June 2016 he performed at Her Majesty The Queen's 90th Birthday thanksgiving service, which was broadcast live on BBC One from St. Paul's Cathedral. At the BBC Young Musician of the Year competition, Bartlett’s performance of Rachmaninov’s Rhapsody on a Theme of Paganini, with conductor Kirill Karabits and the BBC Scottish Symphony Orchestra, received overwhelming acclaim from Edinburgh’s Usher Hall audience and from those tuning into the live recording broadcast on BBC4 and BBC Radio 3. He made his BBC Proms debut in 2015 performing Gershwin’s Rhapsody in Blue with the Royal Philharmonic Orchestra. He also performed Gershwin’s Rhapsody in Blue with the Ulster Orchestra at the BBC Proms “Last Night” celebrations which was broadcast live from Belfast on BBC Four and BBC Radio Ulster. Following Bartlett's success in the BBC Young Musician Competition, he received support from the Young Classical Artists Trust (YCAT). In the same year, he began his undergraduate studies with Professor Vanessa Latarche at the Royal College of Music, where he is a Foundation Scholar. 2018-2019 season / 546 words. Not to be altered without permission. Martin James Bartlett is not only a prodigy of the piano but an accomplished artist who counts among the greats of his generation. Martin James Bartlett brought maximum feeling to the music and played with astonishing delicacy and punch. The wit and colour in pianist Martin James Bartlett’s playing was thrilling. Intermusica represents Martin James Bartlett	worldwide.